Everyone likes to know how much money they're bringing home on payday. If you don't want to wait out the pay period, you can estimate your tax liability to calculate your take-home pay. One way is to look at an old pay stub from a previous job, find your withholdings and divide that amount by the gross income. This provides the percentage of each type of tax that was withheld at your last job. Subtract that percentage from the gross income at your new job to get a general idea of your net income. If you don't have an old pay stub, you can look for an online paycheck calculator, or you can calculate it on your own. Your annual net income, also known as your gross income without taxes, can be calculated by multiplying the amount of monthly income you receive prior to deductions and taxes by 12. To determine your gross wages, multiply your total hours worked by your hourly wage. For example, you work 34 hours a week and you earn $9 per hour. Your gross wages are $306 (34 hours x $9 per hour = $306). If you earn a salary, skip this step because your salary is your gross income, but in the event, you are awaiting your first paycheck, divide your annual salary by 52 to calculate your weekly salary. For example, if your salary is $50,000 a year, divide that amount by 52. Your weekly gross earnings are $961.54. If you work overtime (any hours over 40 hours a week), those hours are calculated using your overtime rate. In most cases, the overtime hourly rate is 1.5 times your regular rate of pay (also referred to as "time-and-a-half" pay). Let's say you work 48 hours in one week, and you make $9 per hour. The first 40 hours are calculated using your regular hourly rate (40 x $9 = $360). The eight hours over the regular 40 hours is calculated at the overtime hourly rate of $13.50 for a total of $108 ($13.50 x 8 = $108). Your total wages for the week are $468 ($360 + $108). Now that you know your weekly gross income, you can calculate your annual income. To calculate this, take your weekly gross income and multiply it by 52. If you're paid biweekly, multiply your biweekly gross income by 26. Your annual gross income is one element that determines your tax brackets, and your tax brackets determine your taxes. What Taxes Are Taken Out of an Employee's Payroll in Texas? Although Federal taxes are usually the largest single percentage deducted from your gross income, other taxes are withheld each pay period. Social Security is withheld at 6.2 percent of your income up to a certain amount, and Medicare taxes are 1.45 percent of your wages. If you live in a state that collects state income tax, it is deducted too. Also, county, city and other local taxes might be withheld as well. The best way to know exactly which types of taxes are taken out of your paycheck is to look at the "withheld" portion of your pay stub. This means that the first $9,525 of your annual income is taxed at 10 percent; the amount of your income between $9,526 and $38,700 is taxed at 12 percent and so on. For example, if you make $40,000 per year, you will be taxed $952.50 on the first $9,525 (10 percent); $3,501 on the next $29,175 ($3,501 is 12 percent of the difference between $9,525 and $38,700, which is $29,175); and $286 on the remaining $1,300 for a total of $4,739.50 in federal taxes. In 2018, Social Security tax is only deducted from the first $128,400 of earnings, but Medicare is deducted from all earnings. If you make $40,000 per year, the entire amount is subject to Social Security and Medicare tax totaling 7.65 percent. As 7.65 percent of 40,000 is $3,060, that is the amount of your annual FICA. Added to your income tax, your total tax for the year is $7,799.50. If you're paid weekly, and there are 52 weeks in one year, you can divide that amount by 52 and see that your weekly taxes withheld from your paycheck will be $149.99, depending on your withholding allowances. 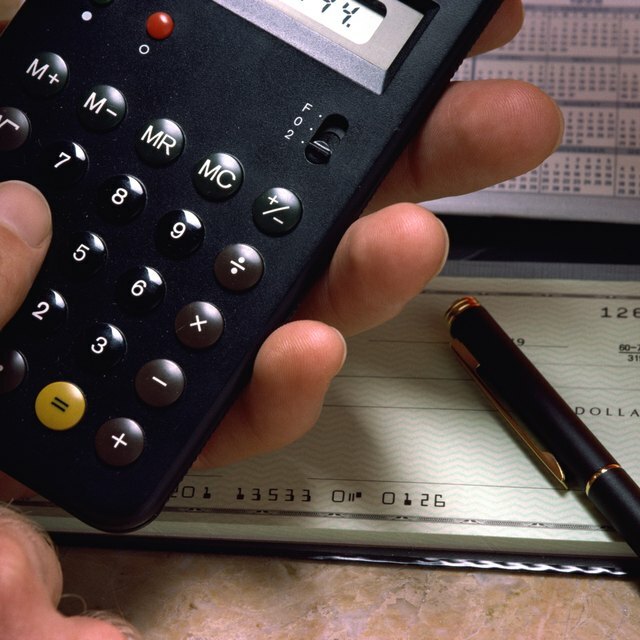 A net income calculator may help confirm your calculations. For 2017, Social Security is only calculated on the first $127,200 of earnings.